Anthony Joshua retains his heavyweight titles in Wales. Anthony Joshua (20-0, 20 KOs) remained unbeaten, having defended his heavyweight titles against Carlos Takam (35-4-1, 27 KOs) Saturday on Showtime in Cardiff, Wales. 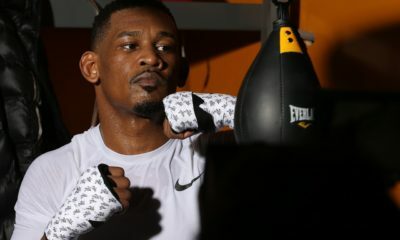 Joshua looked a bit more lethargic, and certainly not with the same fire he brought in his title-winning effort against Wladimir Klitschko, but still controlled the fight with hooks against the shorter Takam. An accidental headbutt early in the fight appeared to have broken Joshua’s nose but fought on, despite seeming winded throughout the fight. Takam did his best to get on the inside to work the body and look for power punching opportunities, but Joshua’s rangy punches kept him at bay. In the fourth, Joshua scored a knockdown with a right hand, but Takam shook it off and showed a strong chin for the rest of the fight. 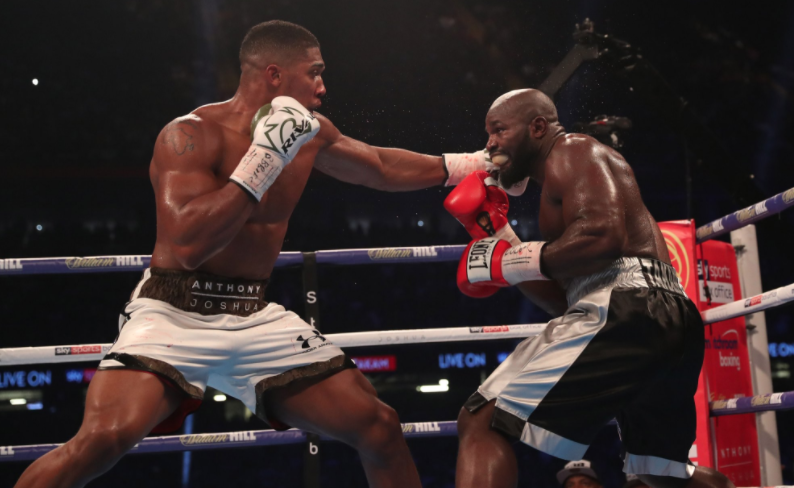 In the 10th, Joshua landed a combination that stunned Takam, but Takam shook it off and attempted to dip his head out of the oncoming punches, but the referee oddly decided to waive it off despite Takam not being in any real trouble at the time.